DO YOU LOVE MUSIC? If so, this camp is for you!! 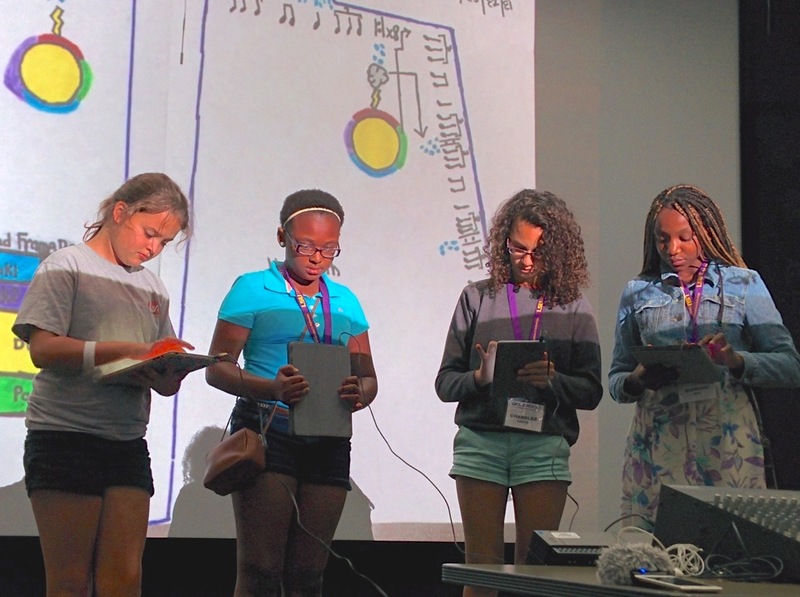 This camp is all about young girls making music with technology. Supported by the LSU Center for Computation & Technology as part of their Cultural Computing focus, this course incorporates Sound Engineering concepts with composition and live performance with technology. 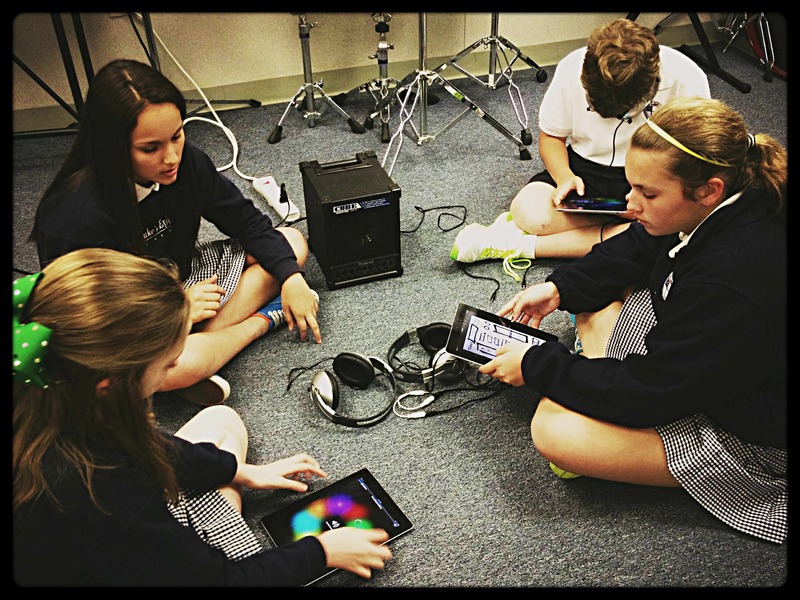 You’ll make music with iPads, electronic instruments, and computers; record, edit, and sequence sound; compose your own music; and design cinema - for the ears. No experience required in either music or technology, just an open mind and an interest in music. Learn to record, mix, engineer, produce, and create music and sound for the music industry, movies, video games, and more. Work on the same audio equipment the professionals use, gain knowledge from industry-experienced instructors, and develop your talent for the recording and experimental arts. You'll even learn how to add music and sound to video clips. Who: Girls entering grades 6-9 (ages 11-15). This is a beginner course, basic computer skills required. Any student who attends the Girls Rock camp will be primed and ready to take the Programming Music Camp ! We would love to have you join both. Cost: $130 pp. Participants must provide their own transportation and lunches. Bring coins for snack/coke machines. Refrigerator and microwave can be made available if needed. Please mark lunches clearly with students name. Registration: CCT will accept participants on a first-come, first-serve basis. Limited seats available so register early. Click here to register! Taught by: Dr. Jesse Allison, LSU assistant professor of experimental music & digital media. Dr. Allison is a leader in sonic art technology, thought, and practice. As part of the Cultural Computing focus of the Center for Computation & Technology, he performs research into ways that technology can expand what is possible in the sonic arts. Prior to coming to LSU, he helped to found the Institute for Digital Intermedia Art at Ball State University and Electrotap, an innovative media arts ﬁrm. Schedule: Monday - Thursday, 9:00 a.m. - 4:00 p.m.
Friday,* 9.00 a.m. - 5:00 p.m. Location: LSU Campus, Digital Media Center, Room 1034. Map it! For questions or special needs, contact Karen Jones at kjones@cct.lsu.edu or 225-578-0595. For all LSU Center for Computation & Technology summer camp information, visit https://www.cct.lsu.edu/cct-events. 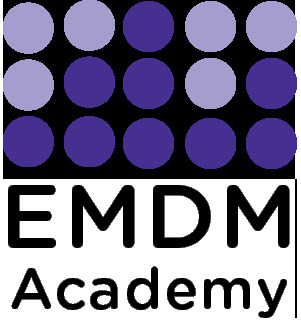 For a taste of Experimental Music and EMDM Academy activities including last year’s Girl’s Rock camp, check out - http://emdmacademy.music.lsu.edu.